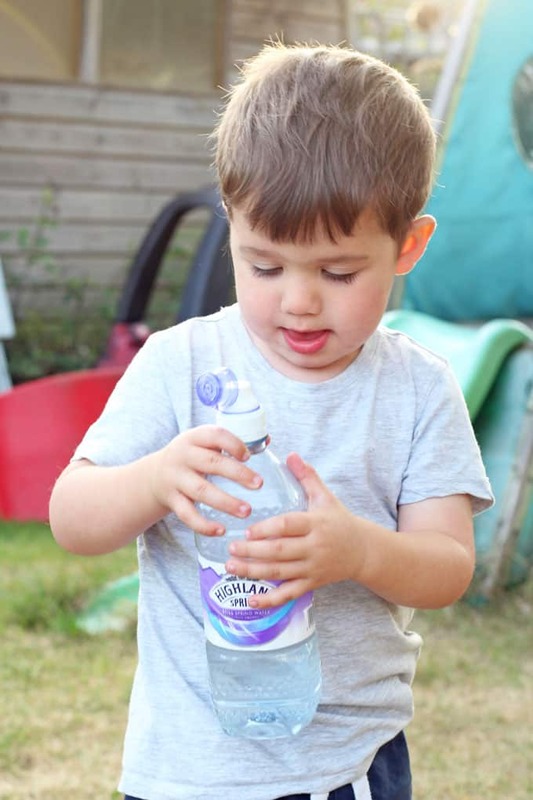 Keeping kids hydrated can be hard work but here’s my tips on how you can get them to drink more water throughout the day! 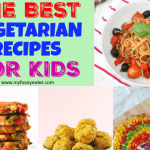 After “how can I get my kids to eat more vegetables”, the next most common question I get asked by friends and readers is “how can I get my kids to drink more water”. 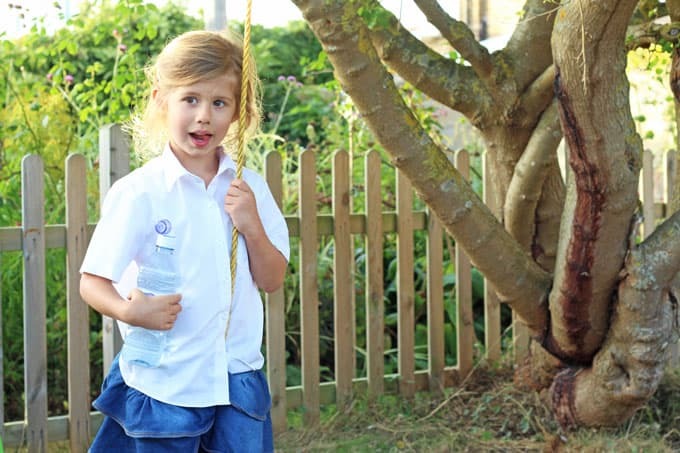 Children need between 6 and 8 glasses of water a day but it can often be a struggle to get that much into them. 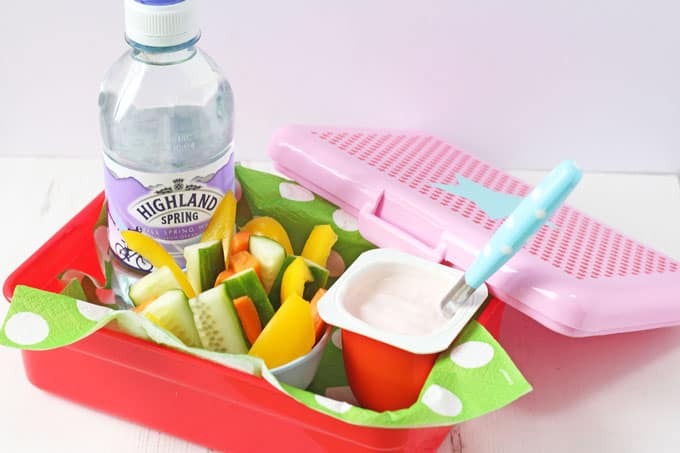 I’m working with Highland Spring to highlight the benefits of proper hydration in children and also to share my own personal tips to get your kids sipping on that H2O throughout the day. Lets face it, water can be pretty bland to young tastebuds, especially when they are tempted by so many colourful sugary drinks on the market. 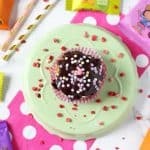 So inject a little bit of fun into it by using bright cups and silly straws. My daughter has a selection of different water bottles for school so I let her choose which one she wants to use each day. This tip may sound strange but have water available to your kids all day long. 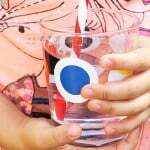 When we are at home my kids have several cups or beakers around the house meaning whatever room they are playing in they can easily reach for a sip of water. Kids get so engrossed in their play they often won’t want to break away to go get a drink, so keep one close by at all times and you may find they naturally drink more. I never leave the house without a bottle of water with me, even if its just to do the school run! 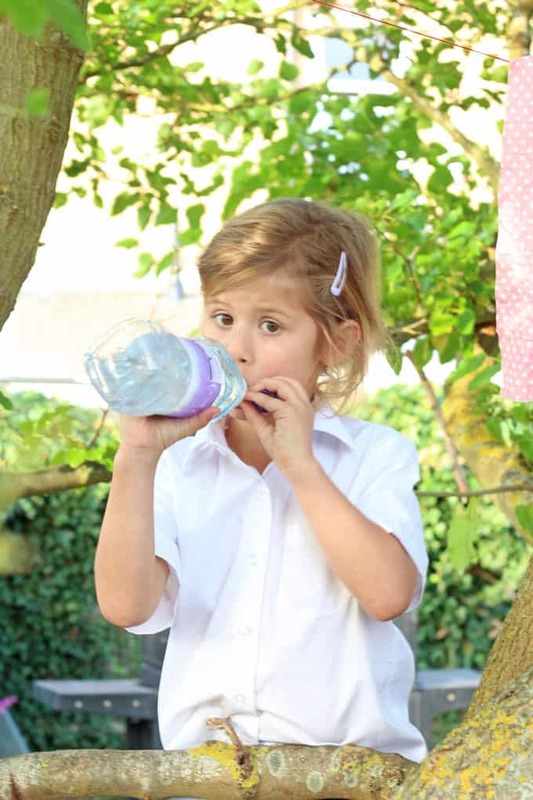 Encouraging kids to take small little sips of water will help to keep them hydrated throughout the day and better able to concentrate and focus in school. I always keep a couple of kid-friendly bottles likes these ones from Highland Spring in the car, meaning I’m never got short on a long journey. On days that my daughter does after school activities I make sure to pack an extra bottle of water for her. The 330ml sports cap bottles are very handy for this! We have a rule in our house that we only drink water with our meals. This helps the kids to meet their daily water requirements but also aids digestion of food. If we eat out we might allow the kids to have a fruit juice as a treat but even then we always encourage them to drink a glass of water aswell. 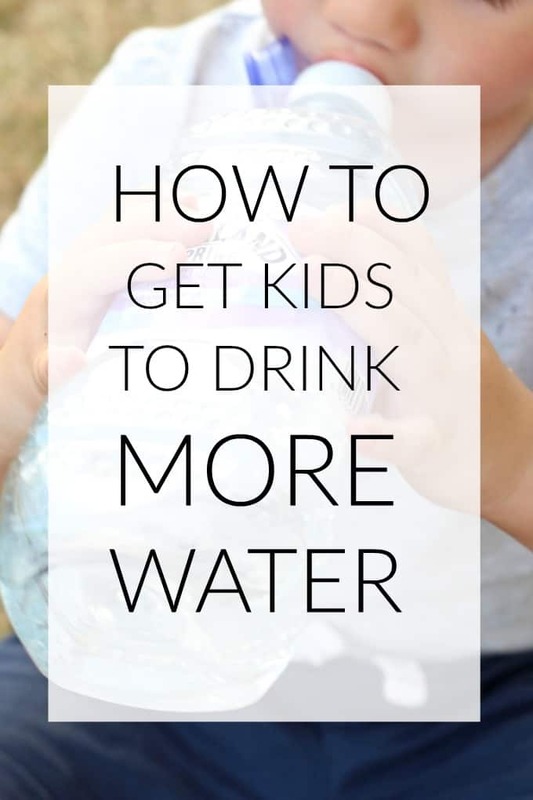 Do you have any more tips for getting kids to drink more water? I’d love to hear the tricks you use! For more information on the benefits of good hydration for both adults and kids visit Highland Spring Magazine. Disclosure: I’m working with Highland Spring and BritMums in a paid relationship promoting the #TermTimeEssentials campaign about the importance of hydration to kids. Visit http://highlandspringmagazine.com for more advice and tips. Great tips, especially having water only with meals! This has definitely made a difference in our house. I bought a water dispenser from a supermarket and little cups, grandson love’s pushing the button to fill his cup and has to drink it before he can push the button again. That’s such a great idea! I bet her loves it! Great tips, especially the one about keeping water dotted around the house. It’s easy to forget how engrossed kids get in play and that even taking 90 seconds away to go to the kitchen is a long time! I love your photos o the kids drinking water! So cute! Some great tips here – thanks for sharing.